Sivan Zakai, “Bad Things Happened”: How Children of the Digital Age Make Sense of Violent Current Events, The Social Studies, January 2019. Sivan Zakai, Connection and Disconnection: The Paradox of Israel Education in the Digital Age, CCAR Journal: The Reform Jewish Quarterly, Spring 2018. Sivan Zakai and Hannah Tobin Cohen, American Jewish Children’s Thoughts and Feelings About the Jewish State: Laying the Groundwork for a Developmental Approach to Israel Education, Contemporary Jewry, April 2016. 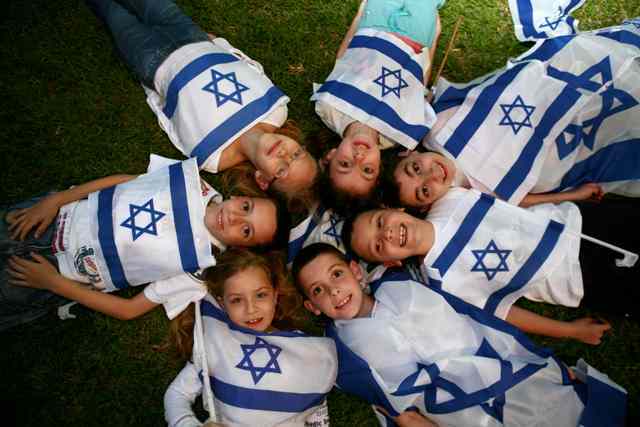 Sivan Zakai, Israel Is Meant for Me”: Kindergarteners’ Conceptions of Israel, Journal of Jewish Education, 81:1, 4-34. The Children’s Learning About Israel project studies how American Jewish elementary school students think and feel about Israel, and how that thinking changes over time. The American Jewish community is investing unprecedented time and money into cultivating young people’s connections to Israel. While there is an emerging body of empirical research to help us understand the roles that Israel and Israel education play in the lives of American Jewish teenagers and young adults, there is virtually no comparable knowledge about children. To build this knowledge base, the project has made an unprecedented effort to gather data from children as young as five and six years old, through special techniques designed to elicit their associations with images and sounds as well as by using more traditional interview techniques. Working with a cohort of 33 children from three Jewish day schools in the Los Angeles area, the project has tracked the students from kindergarten (the 2012-2013 school year) through fifth grade (the 2017-2018 school year). The group of schools is diverse: one is Reform, one Conservative, and one a non-denominational/community school; one has a large Persian-Jewish population, one has predominately Ashkenazi students, and one has a large number of Israeli expatriate families. The Children’s Learning About Israel project is led by Dr. Sivan Zakai, affiliated scholar at the Mandel Center and Sara S. Lee assistant professor of education at HUC, and is being conducted at HUC. This project has been supported in part by CASJE, in partnership with the Jack, Joseph and Morton Mandel Center for Studies in Jewish Education.